[toc]Diabetes affect millions of people across the globe, every year. It comes as a shock to anyone who is diagnosed with diabetes because it is a medical condition that compels us to change our diet and eating habits, and most importantly give up many of our favorite foods, especially sweets and desserts and switch to a diabetic diet. Diabetes or diabetes mellitus is a chronic metabolic disorder where the level of sugar(glucose) in blood goes up abnormally. Although a diabetic diet, adequate exercise and a healthy lifestyle can help in managing diabetes, it cannot be cured completely. Therefore, proper diagnosis and treatment at the right time is very important to keep it in control and prevent the various other diseases and medical disorders associated with it like coronary heart diseases, kidney failure, glaucoma, neuropathies, amputations of feet or legs, and a host of other complications. Glucose present in food helps in providing energy to our body. It is present in sugar, carbohydrates, etc. However, glucose cannot be absorbed by the body cells without the aid of insulin. Diabetes is directly associated with insulin. 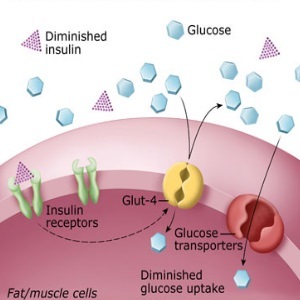 If the body is unable to produce sufficient amount of insulin, or if the insulin produced are defective or if the body cells are not in a position to use the insulin properly and efficiently, diabetes may be caused. Moreover, diabetes may be either hereditary or may be caused due some underlying medical conditions like pancreatic disorder, obesity, lack of exercise or physical activities, unhealthy eating habits, etc. There are several symptoms of diabetes. These symptoms may vary from person to person. Since the body cells of a diabetic person lacks in glucose to be converted into energy, you may feel tired and exhausted all the time. Blurred vision is another symptom of diabetes. Sharpness of vision and the ability to see the finer details of things are lost with high or prolonged diabetes. Other major symptoms and signs of diabetes are increased urination, increase in appetite and thirst, dry mouth, weight loss or gain, delay in healing of wounds or cuts and itchy skin. In type 1 diabetes, the pancreas is unable to produce insulin. According to the American Diabetes Association, children and young adults usually experience this type of diabetes, although hardly 5% of diabetic patients have type 1 diabetes. Insulin injections or pumps and monitoring of glucose level is very important in this type of diabetes. Living with it is not easy. However, with proper diet and exercise, maintaining the right balance of glucose is possible. 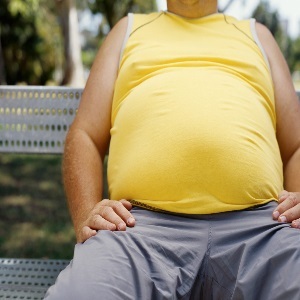 It is the most common form of diabetes which normally occurs to people above thirty years and to those who are obese. The glucose level in blood rises higher than the normal level. This is so because the body is unable to use the insulin properly. In other words, type 2 diabetes occurs due to insulin resistance in the body. Gestational diabetes is normally seen in pregnant women who were never diagnosed with diabetes prior to that. However, it may also be the early warning of Type 2 diabetes.